매일 30 ~ 90 ml 를 섭취해주세요. 영양이 풍부한 남태평양의 해변에서 자란 노니를 사용했습니다. 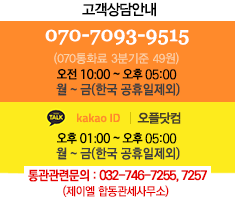 콜라겐 합성을 도와 손상된 피부 재생에 도움을 줍니다. 콜레스테롤 분해에 도움을 주어 혈관질환 개선과 예방에 도움을 줍니다. 노니에 풍부한 프로제로닌 성분이 세포 기능 활성화에 도움을 면역력 강화와 피로회복에 도움을 줍니다. 세로토닌 활성화에 도움을 주어 식욕을 감소시켜 다이어트에 도움을 줍니다. • See your health care professional for use with any medical condition. • May be stored at room temperature before opening. • This bottle has an outer safety seal. • Do not use if broken or missing. • Take 1-3 fl oz (30-90 ml) daily. • 100% pure Tahitian organic Noni juice (Morinda citrifolia). • 30,000 mg Noni per serving. ORAC over 16,000. 노니함량과 진한 맛 모두 마음에 드는 노니주스입니다. 노니 먹어보고 좋으면 계속 구매하겠습니다.건강에좋은 18종 필수 아미노산,12종비타민,7종미네랄, 폴리페놀,파이토케미컬,프로제로닌,이리도이드 이런성분은 전혀 안적혀있습니다.